The New Nike FI Bermuda is a spikeless golf shoe with a mesh breathable upper and fresh Nike styling. I cleaned these up best I could but these have held up well after about two months as my primary shop shoe. A breathable summer shop shoe is a welcome comfort compared to spending 12+ hours in a stuffy non-breathable waterproof golf shoe. 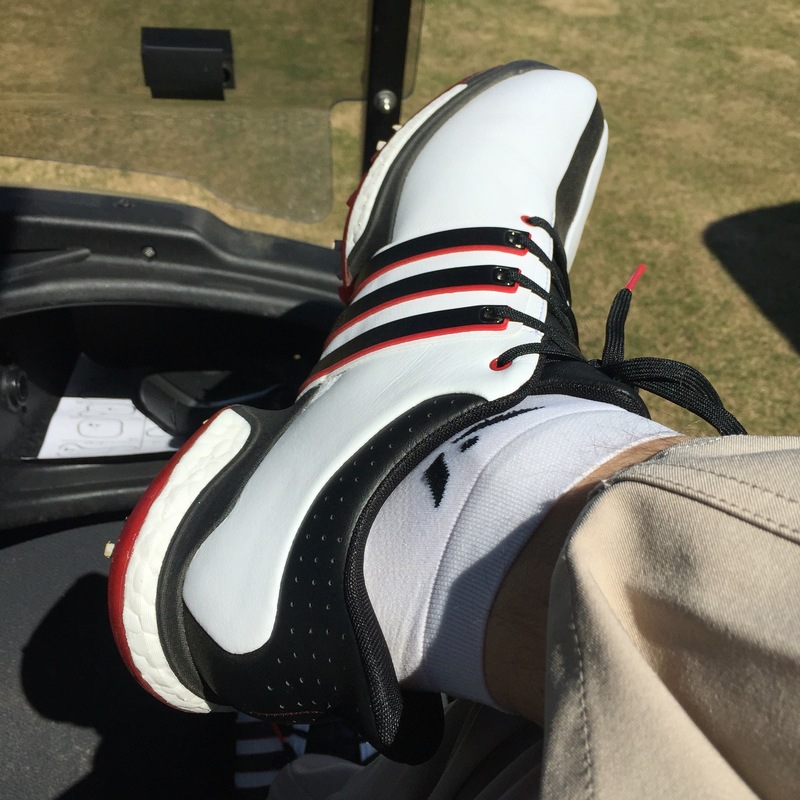 However, mesh shoes usually don’t have enough structure in the toe box and the platform for me to hit golf balls in. This leads to sore toes on my right foot from my follow through / finish while hitting balls or playing. These actually felt OK after hitting a large bucket of balls so I decided to try them out on the course. After a few holes, my feet started to slide around in the shoe a bit but I quickly fixed the issue by tightening up the laces. This gave me a more secure fit and eliminated the feeling of swimming around throughout the swing. The spikeless platform provided plenty of grip even on dry dormant Bermuda grass. I even went into a bunker (only to test of course, not because I hit it there) and came out without any sand in my shoes (bonus!). If you are looking for a new primary pair of shoes for this season, I would go with a more traditional shoe (see my posts on the adidas tour 360 boost) that offers more support and waterproof capabilities (these are not waterproof as they are mesh and breathable). But, if you have a few pair of shoes and are looking for an option to kick around in then these are great. They even double as a fresh pair of sneakers if you have to run to grocery store on the way home. 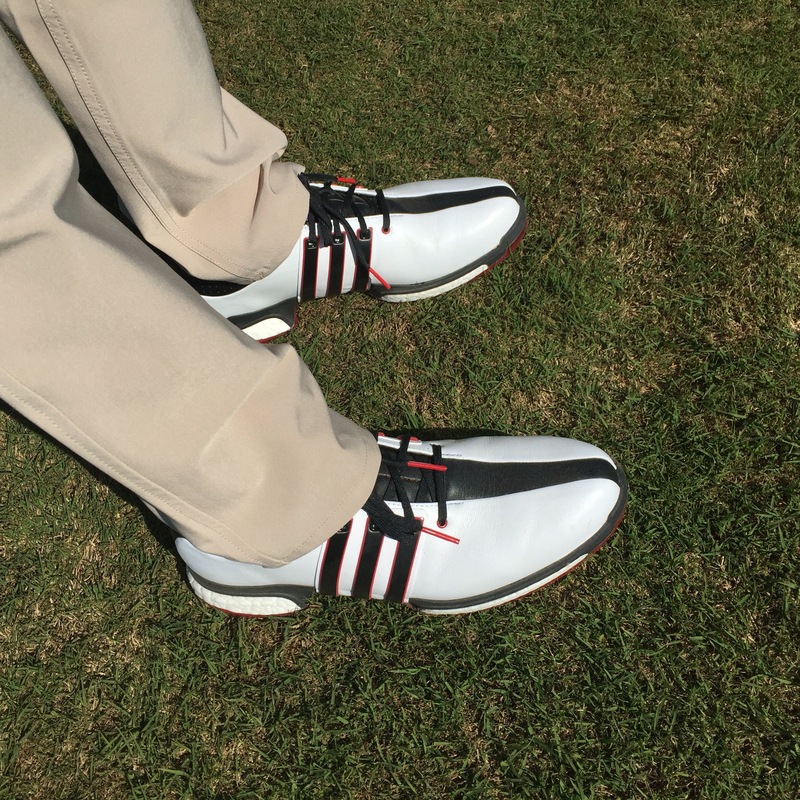 The Adidas climacool still gets my vote for best shop shoe for pros (it’s basically a sneaker) but the Nike FI Bermuda takes the lead for those who may find themselves running out onto the course for a quick nine with members or sneaking away to hit a few balls on the range.